for less than the cost of 1 sheet music download! 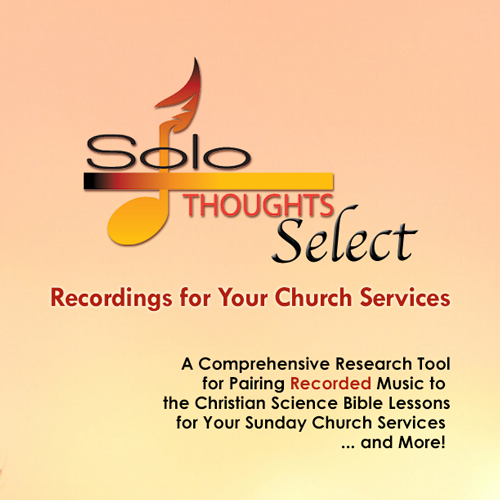 It's A Comprehensive Research Tool for Pairing Recorded Music to the Christian Science Bible Lessons for Your Sunday Church Services ... and More! creative organizational tool for all churches. ➜You'll get to instantly put music selections in your shopping cart here at watchfiremusic.com and download your music for the Sunday Service ... or the Wednesday Evening Testimony Meeting.